It is mildly embarrassing to write a bio for public view - I've had to do it a number of times in my life, especially for playbills when I was in a show. What do people want to know? How much should I include? Why do I want to do this . . . what is my point? I think I'd like the people who come to LatterdayVillage to know how I got started doing this. Back in 1997 I was a single mom, living and working in Central Florida with my two sons and my aging mother who had been displaced from her home in South Florida because of Hurricane Andrew - and I started writing books - scripture workbooks for children and teens. So I started a website to tell people about the books and sell them - and to attract traffic, I put everything I could think of that I had accumulated over the years for my callings in Primary up on my new website. Before I knew it, I had a lot of traffic! Way more than I imagined possible. Back then my site was called Primary, ETC! I added stuff for Seminary and Young Women - anything I had. It was free - the only things I sold were my books. I didn't prepare stuff especially for Primary, ETC - I just put up the things I'd already made for my callings, and if I saw an idea from someone else I liked, I requested permission to add it to my site as well. After three years and five books, I changed the format. I decided to stop writing printed books and start selling paid subscriptions to the material I would have put into additional books. But I expanded on that. It was VERY scarey to take that risk - what if no one was willing to pay? There is a lot more to the story, but eventually, in 2005, I merged my paid subscription LDS teaching aids site with another paid subscription LDS teaching aids site to form Latter-dayVillage.com. Three years later, my new partner passed away unexpectedly. A roller coaster ride ensued. We have had a wild ride - the site and I - in the seven intervening years. There is a lot of drama there I don't feel like hashing over again, but through it all, we weathered a number of storms and are still around to witness to it. Often my family and friends have said - "Mom/Debbi - you HAVE to sell LDV - it is killing you!" I would pause long enough to do some job hunting, and every time, I would come up empty handed and feel like it wasn't the right time to bow out - I had no other form of income and no great prospects, so I just kept at it. You see, I am nothing if not creative. My mind never stops thinking of new ideas, and no other opportunity I have ever had gave me such a broad canvas on which to create! I get to do what I love best - use my talent to serve the Lord. Now, I'd be a minister for a living if I weren't a Mormon, but I AM a Mormon and, instead, I do LatterdayVillage. No one tells me what to do. I do what I feel like doing. Now, there are a lot of things I have to do that I find DREADFUL. I put them off till the last minute. Funny how I say that on April 15th. I will, once again, file for an extension on both personal and business tax returns . . . UGH! Marketing is another thing I dread. Something about it is repulsive to me - seriously repulsive. But, if you have a business, you kind of HAVE to do some marketing. And when you figure out what works, it is actually kind of fun to do some type of campaign and see a bunch of sales come up! If I were more motivated by money, I'd be doing a LOT MORE marketing. No amount of financial stress changes that for me. I would almost rather die than market . . . and I almost did. Does that sound overly dramatic? 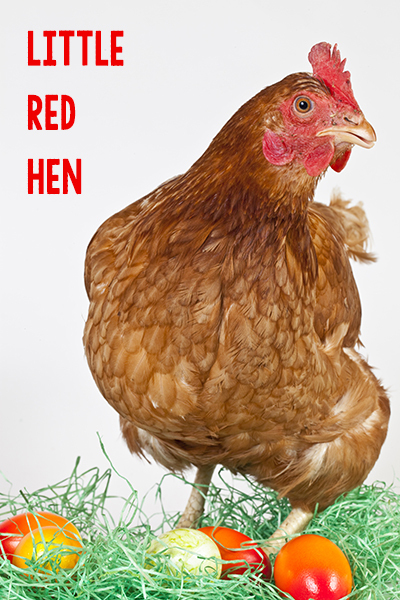 I am a redhead - and I do chicken impressions, in Jr. High I got the nick-name - little red hen - but today I realize it has a lot more to do with my personality and the childhood story about the work-a-holic hen than the color of my hair. That storybook poultry queen had big ideas and whenever she asked for help, all her friends declined her requests. So, in true little-red-hen fashion, she said - "then I'll do it myself!" I likewise will not be deterred by unfavorable circumstances - if no one will help me, I just soldier on. You can do that with a website - at least, back in the ANCIENT TIMES of the mid-90's you could. Today, you really can't. I can't. We have help from several artists and assistants including my son and daughter-in-law - so we are a growing brood. I started this blog to have a place to write when I feel like sharing something kind of unrelated to anything else - something not meant to be marketing or marketable - just my thoughts - and today, to share a little about me with the LDV community. If you give a bushel and a peck! I'll save anything else for another day! Bawk - a - bawk - bawk!